World Archeology: Has the mystery of the Lost Persian Army finally been solved? The final resting place of a 50,000-strong Persian army which was swallowed up in a cataclysmic sandstorm in the Sahara Desert around 524 BC is one of the greatest mysteries in ancient history. Many, over the years, have claimed to have found the lost army, but most have been proven to be hoaxes. 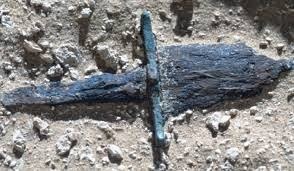 Now a Dutch archaeologists believes he has solved the mystery of what happened to the ill-fated army some 2,500 years ago. According to the Greek historian Herodotus, Cambyses II, the oldest son of Cyrus the Great, King of Persia, sent his army to destroy the Oracle of Amun at Siwa Oasis after the priests there refused to legitimize his claim to Egypt. The army of 50,000 men entered Egypt’s western desert near Luxor but halfway through, a massive sandstorm sprang up and reportedly buried them all. Although many Egyptologists regard the story as a myth, many expeditions have taken place in search of the remains of the lost soldiers. Most came back completely empty-handed, while others claiming to have found the remains have been proven false. 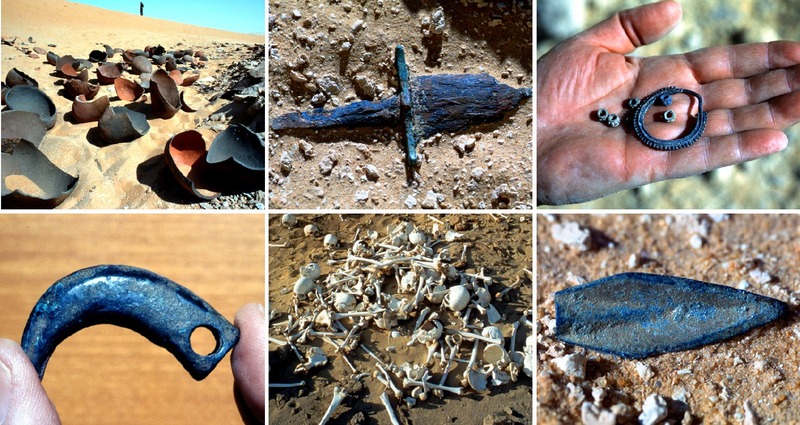 In 2009, two Italian archaeologists announced that they located human remains, tools and weapons near Siwa Oasis in Egypt dating to the age in which the army disappeared. However, this too is questionable and has been dismissed by many scholars on the basis of the fact that they chose to announce them in a documentary film rather than a scientific journal. Furthermore, the two researchers also happen to be the filmmakers who produced five controversial African shockumentaries in the 1970s. The bones claimed by Italian archaeologists to be the remains of Cambyses' legendary army. 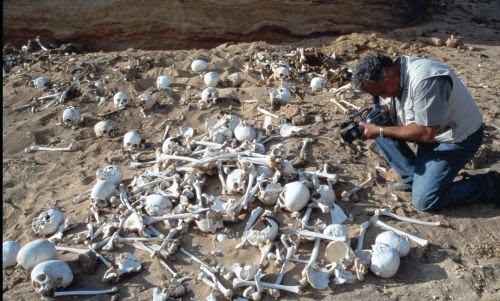 It is highly questionable that the bones would have remained in a pile out in the open like this for 2,500 years if they were indeed the lost Persian army. Professor Olaf Kaper, an archaeologist at Leiden University in the Netherlands, believes he knows what really happened to the lost army. “Some expect to find an entire army, fully equipped. However, experience has long shown that you cannot die from a sandstorm,” said Kaper, as reported by Sci-News. Professor Kaper argues that the lost army of Cambyses II did not disappear, but was defeated. According to Kaper, the army’s final destination was the Dakhla Oasis – the location of the troops of the Egyptian rebel leader Petubastis III. 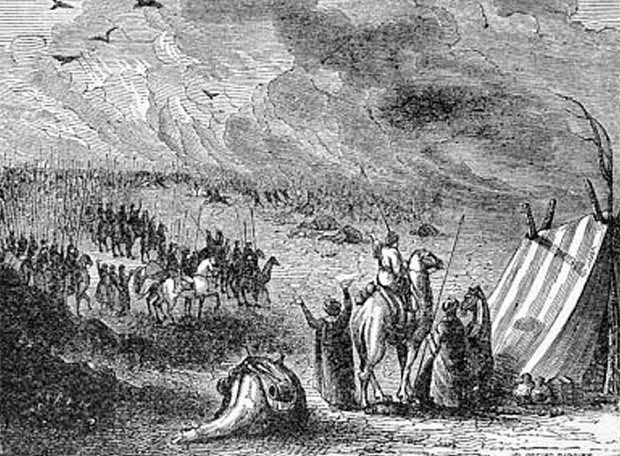 Kaper maintains that the fate of the army remained unclear for such a long time because the Persian King Darius I, who ended the Egyptian revolt two years after Cambyses II’s defeat, attributed the embarrassing defeat of his predecessor to a sandstorm in order to save face, and this became the accepted account of what happened. Excavations in the Dakhla Oasis have revealed titles of the Egyptian rebel leader Petubastis III carved on ancient temple blocks, which suggests that it was a stronghold at the start of the Persian period. Hopefully further work will be undertaken to follow up this promising lead, which may solve one of archaeology's biggest outstanding mysteries.